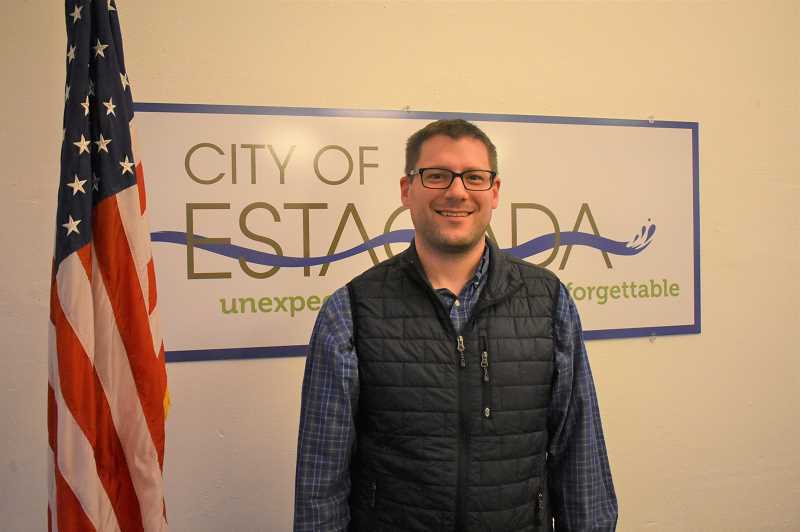 Eric Hall is the newest member of the Estacada City Council. During a meeting on Monday, April 8, Hall was appointed to the position vacated by Aaron Gant, who moved outside city limits. Hall, who teaches physics at Portland Community College, moved to Estacada with his family last year. Previously, they resided in Minnesota. "My family chose Estacada when we moved here in March 2018 because my spouse and I grew up in small towns in Minnesota, and our kids were also being raised in a small town. We wanted to continue that tradition, while perhaps playing a bigger role in the growth and well-being in the town," he wrote in his application. "Because of my family, I want to take part in helping Estacada be a model for other towns in Oregon." Hall is eager to become involved with the group, citing the progress the city has made since he moved to town. "Even in just one year, it seems like the city has pushed positive change. That is an admirable push that I want to be a part of, and to offer more ways in which that trend might continue," he wrote. Councilor Katy Dunsmuir made the motion to appoint Hall to the Council. She noted that Estacada is gaining new residents, and that the perspective of a newcomer would be valuable to have. "More perspective of that group of people represented on the council will help us long term," she said. "We don't have a lot of voices on the council of someone new to Estacada, coming out here and making a life."